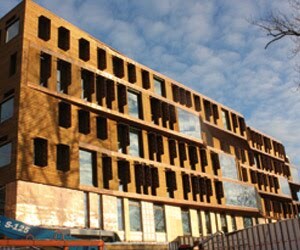 The outer skin is made of Kebony wood enables excellent weathering resistance and the inner layer provides with our hand selected PEFC certified timber a fine and exclusive wood interior. 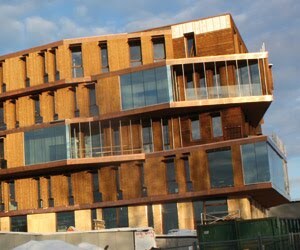 Kebony wood has a very fine and modern organic look and fits in perfectly in modern architectural projects. 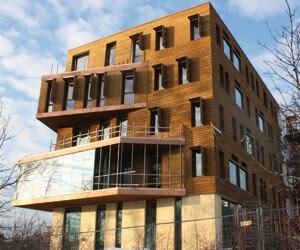 Kebony is based on a process where sustainable wood is made more durable, harder and more stable using liquids from biowaste material. 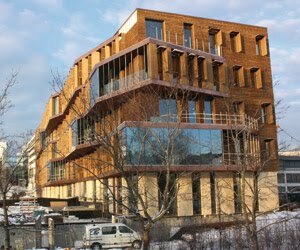 Kebony is a sustainable alternative to hardwoods from tropical regions.We place particular value on using individual materials in a manner that allows us to achieve optimum use of energy. This natural material guarantees greater living comfort and, as a renewable product, ensures sustainable, environmentally friendly construction.